Words that could not save you. Rakhshan Rizwan was born in Lahore, Pakistan and then moved to Germany where she studied Literature and New Media. She is currently a PhD candidate at Utrecht University in the Netherlands. Her poems have appeared in Papercuts, Cerebration, Muse India, The Missing Slate, Postcolonial Text and elsewhere. She is the winner of the Judith Khan Memorial Poetry Prize. 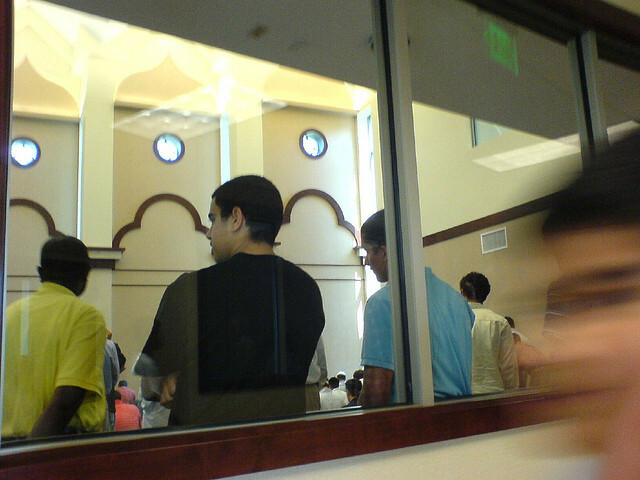 Image: 'Columbus Ohio (21) Inside the Mosque' by TijsB.